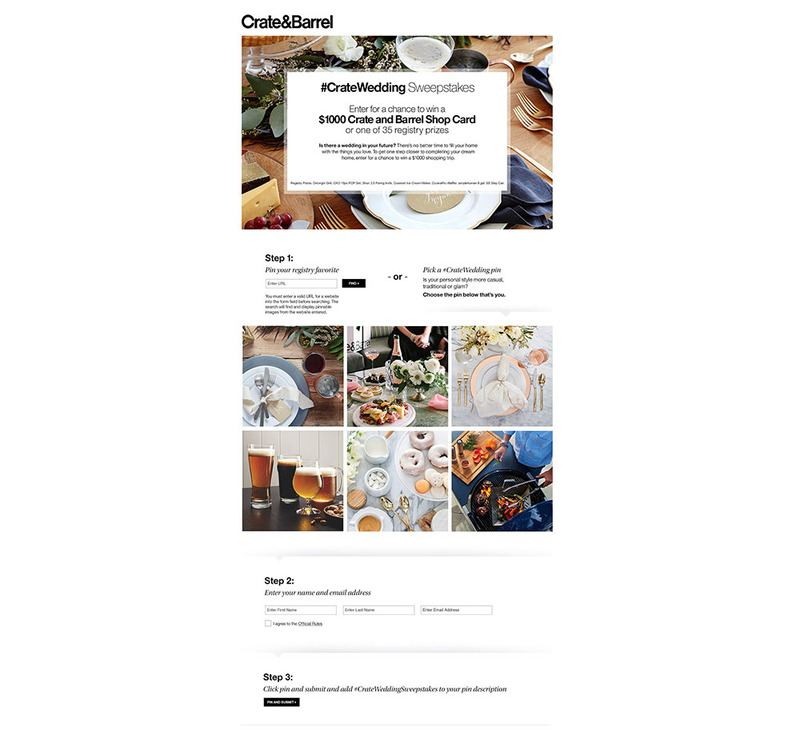 CB2 came to Sync Marketing with the challenge of creating an affordable online sweepstakes that could launch in less than two weeks. 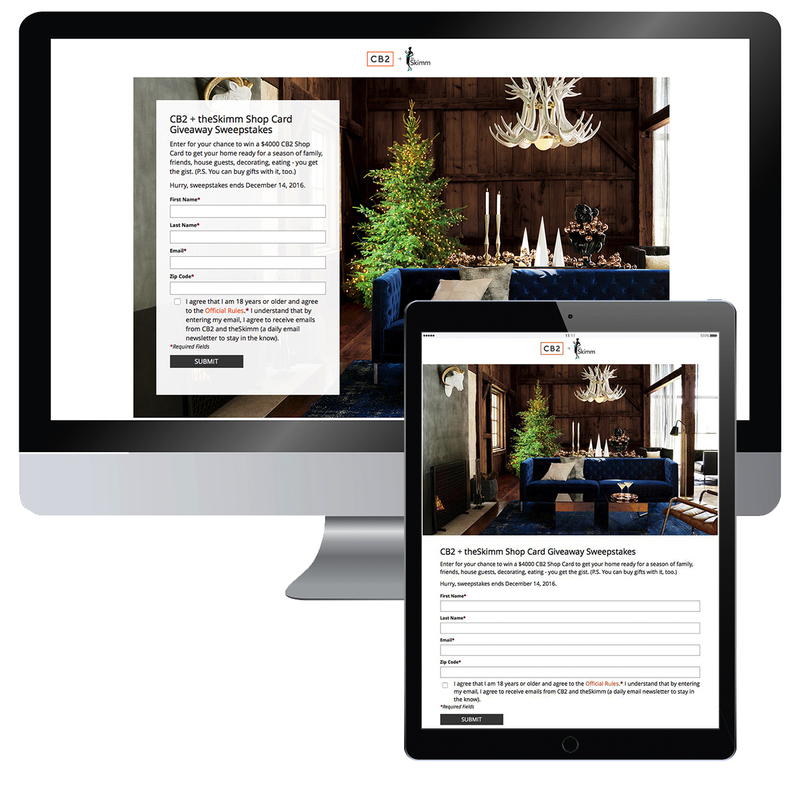 Sync’s TurnkeySweeps™ platform was the perfect solution for CB2 as it’s a cost-effective platform that can launch within a week of receiving approved creative. The results of the campaign proved that TurnkeySweeps™ and a partnership with theSkimm was the perfect solution for this campaign. The results indicated a higher than average entry rate for simple enter-to-win campaigns. The prize value and ease of entry clearly resonated with CB2’s consumers. 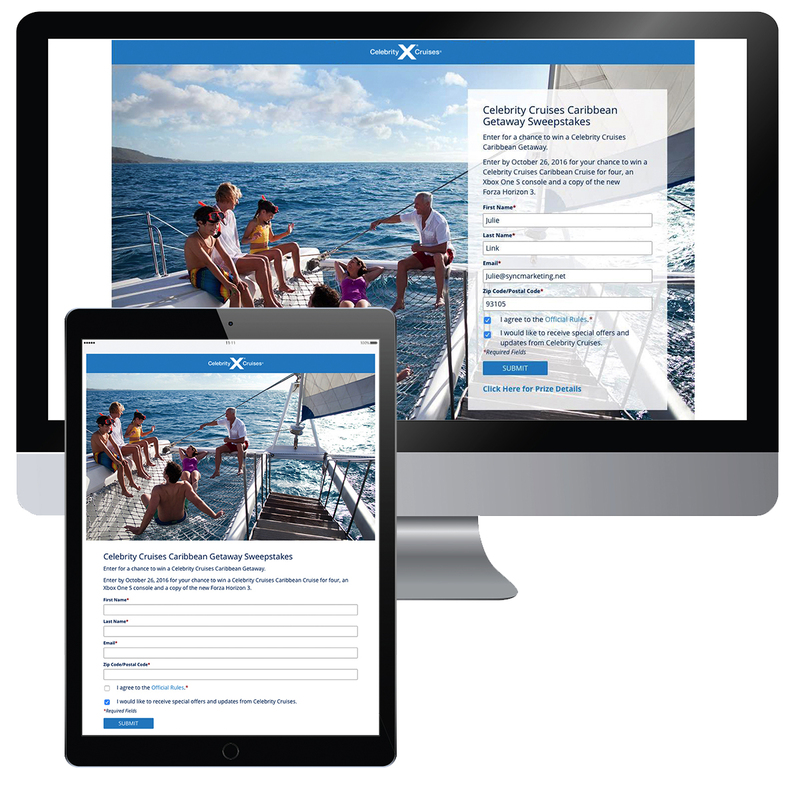 Celebrity Cruises came to Sync Marketing looking for a sweepstakes company that could program and manage a full-service, affordable online sweepstakes, which included all the necessary services such as design, programming, legal and prize fulfillment. The perfect solution was Sync’s TurnkeySweeps™. This all-inclusive one-stop-shop platform is extremely cost-effective and also includes Sync’s one-on-one customer service and attention to detail. The entry results lead to a tremendous ROI for Celebrity Cruises. 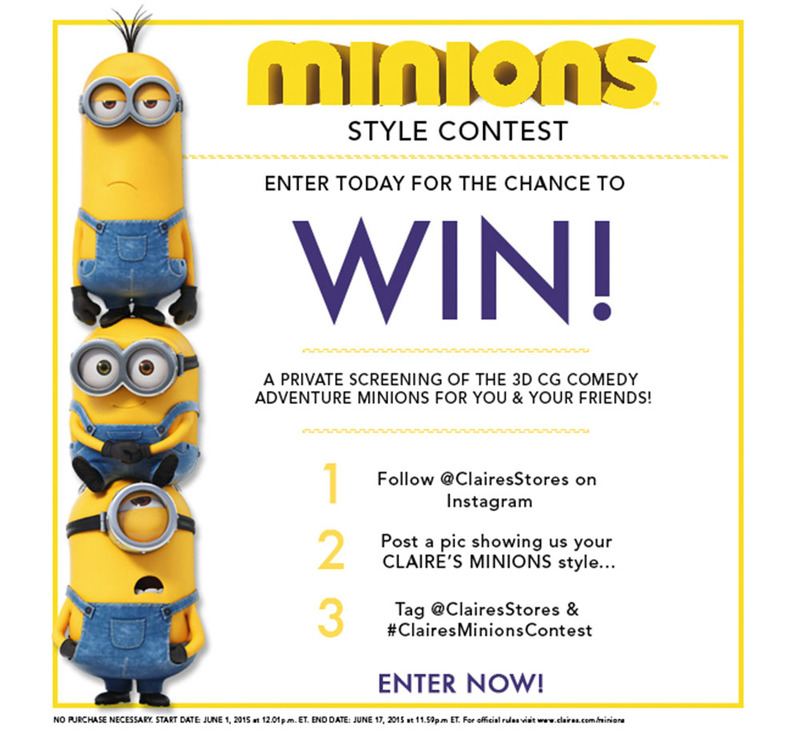 Claire’s Show Us Your Minions Stye Contest Claire’s invited Minions fans from far and wide to show their Minions spirit by participating in an Instagram contest for the chance to win a private hometown screening of the new Minions movie. 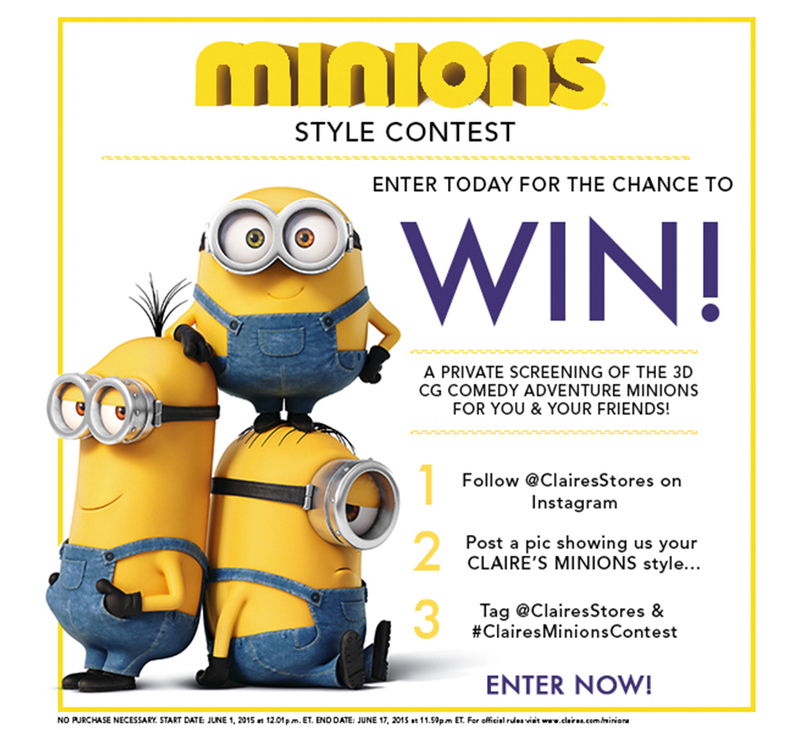 Entrants were required to upload a photo showing their Minions style for the chance to win. 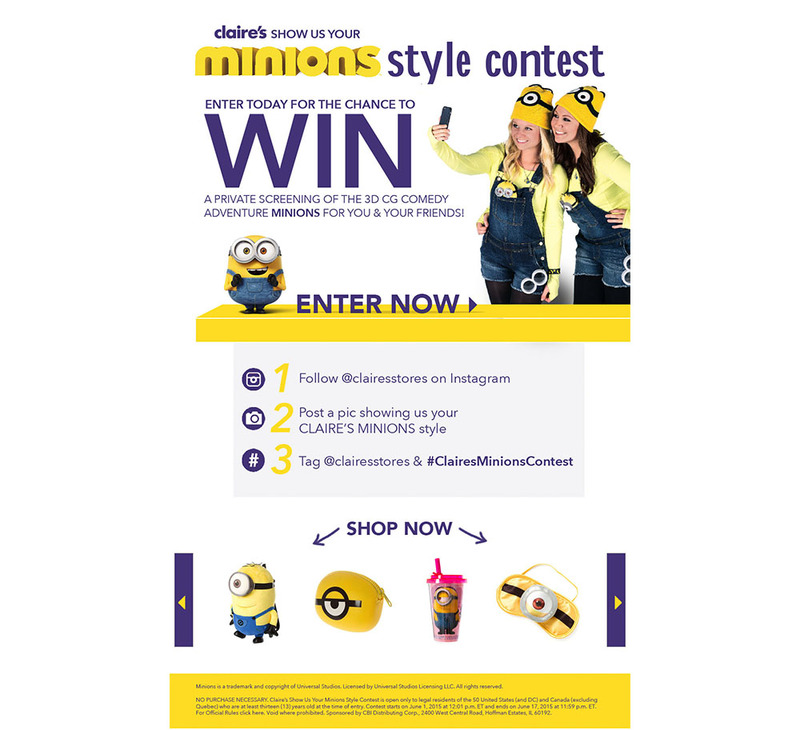 The client’s goal was to promote their Minions merchandise and to grow their Instagram reach.  For this campaign, Sync created all of the legal documents, contest criteria, participated in judging and coordinated the screening with the studio. 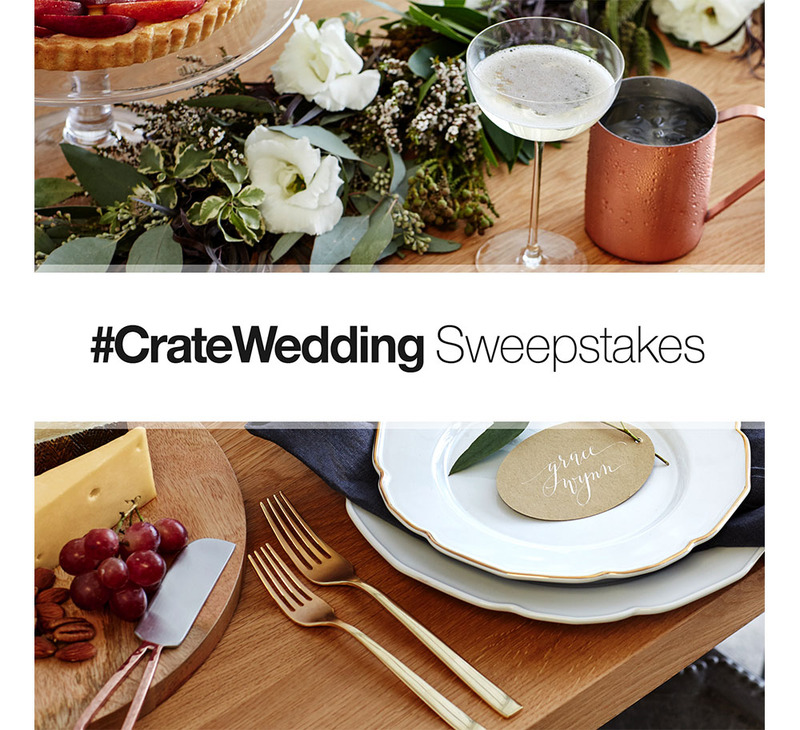 Create and Barrel's #CrateWedding Pinterest Sweepstakes Wedding bells were pealing when Crate and Barrel asked their soon-to-be brides to pin their favorite home and registry items with the hashtag #CrateWeddingSweepstakes for the chance to win a $1,000 Crate and Barrel gift card or one of 35 popular registry items. Sync advised and guided the client on the best legal practices and created all of the necessary legal documents as well as handled the selection, notification, and verification of 36 prizes. 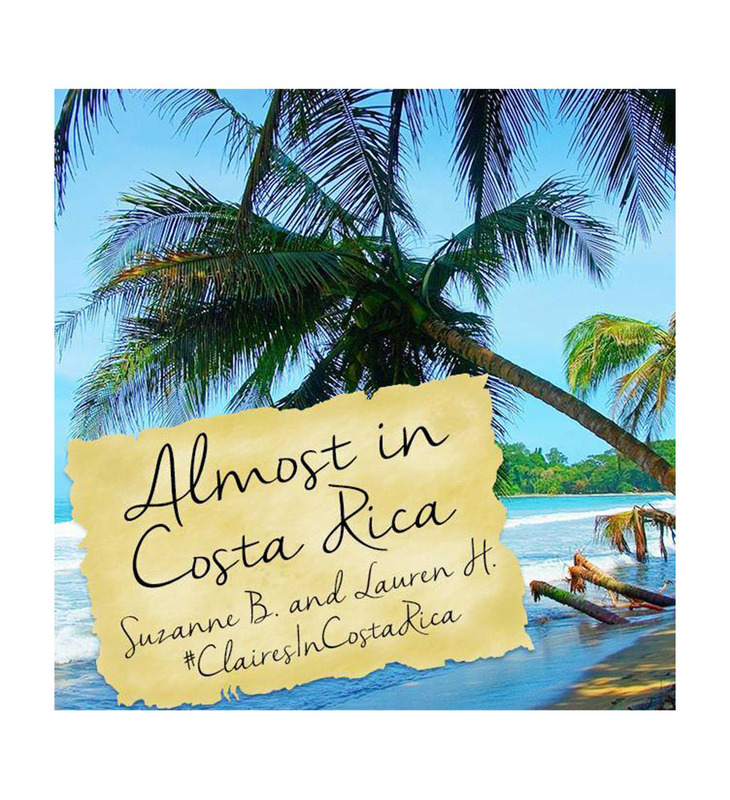 Sync Marketing provided their legal and prize fulfillment services on this project. 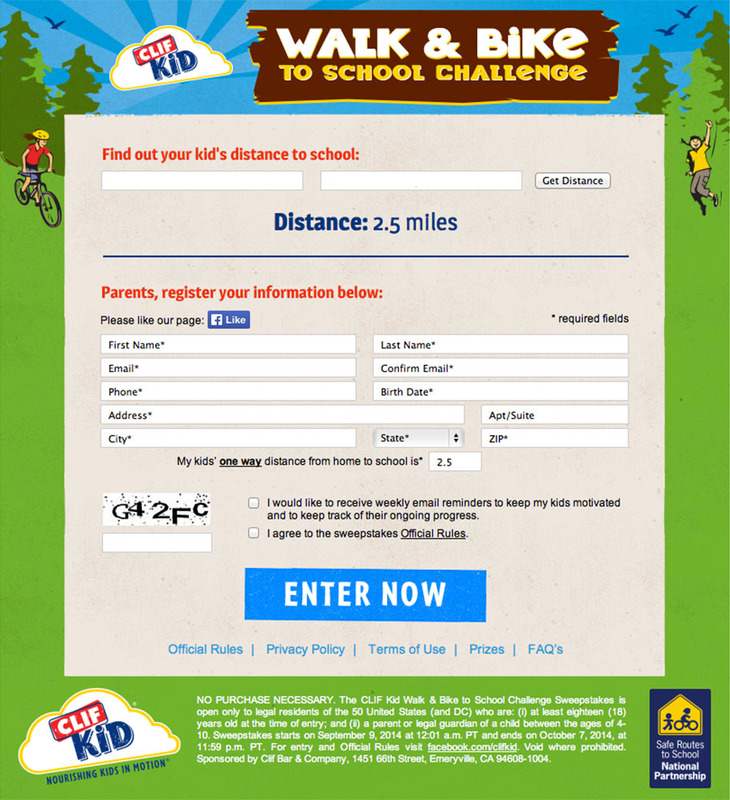 Clif Kid Walk & Bike to School Challenge Sync Marketing created a fun, interactive and mobile and tablet-friendly 30-day online sweepstakes, which invited parents to track their kid’s progress of walking or biking to school everyday leading up to National Walk and Bike to School Day. 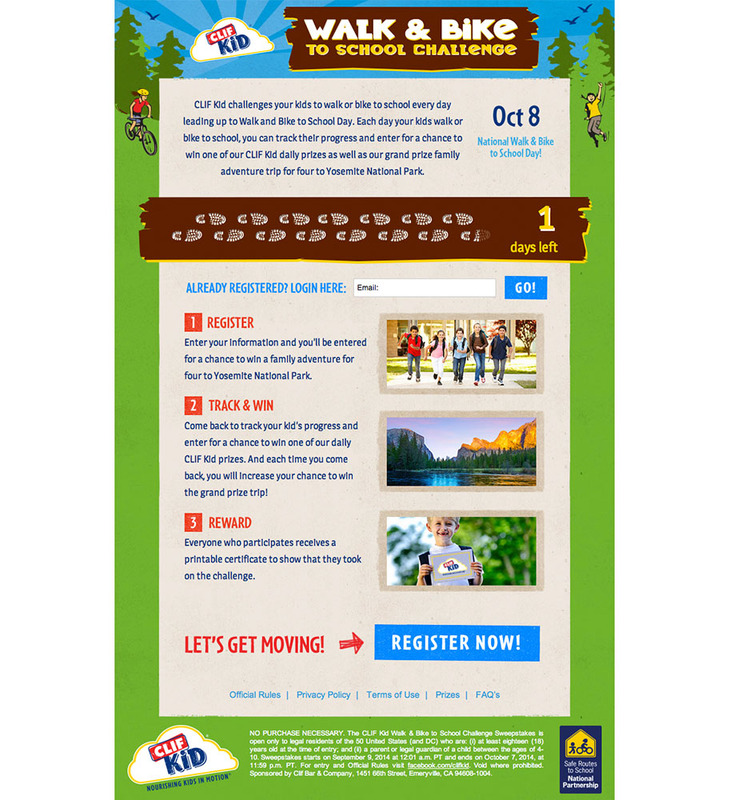 By registering, they were automatically entered to win the grand prize; a family trip for four to Yosemite. 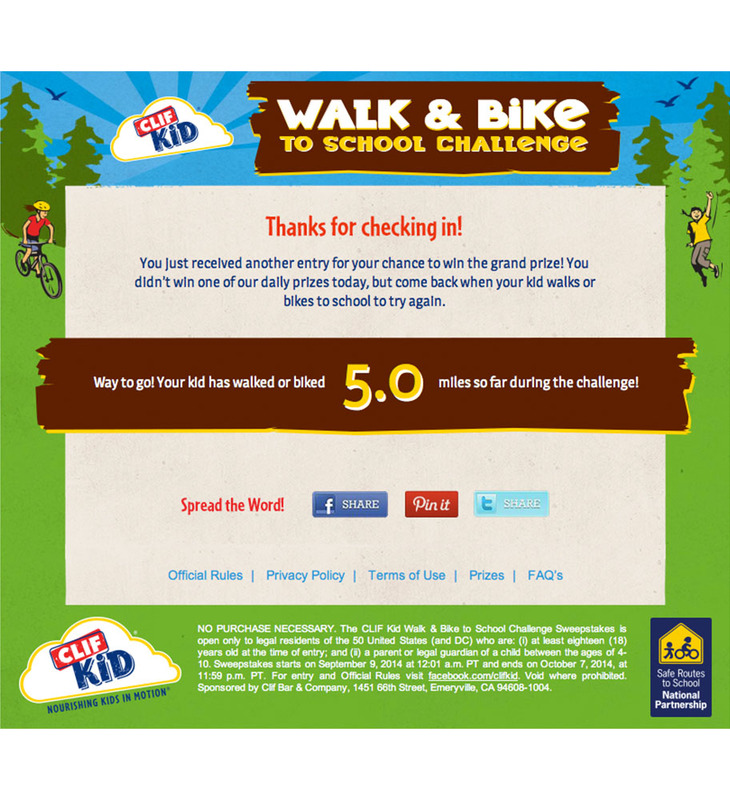 To add to the fun, all those who tracked their kid’s progress had the chance to win from 850 instant win prizes. Also, all those who participated received a congratulatory email at the end of the campaign which included a certificate of completion where parents could print it out to present to their kids. 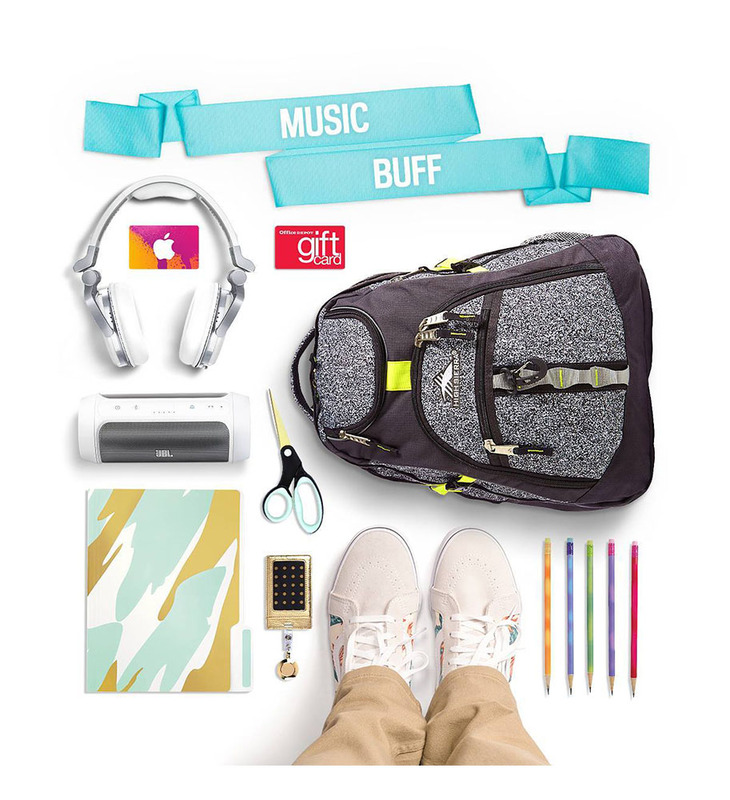 Office Depot #NewGearFeeling Back-to-School Sweepstakes To ensure that students had a chance to go back to school in style, Office Depot ran a sweepstakes that awarded the newest and hottest gear to 40 lucky learners. 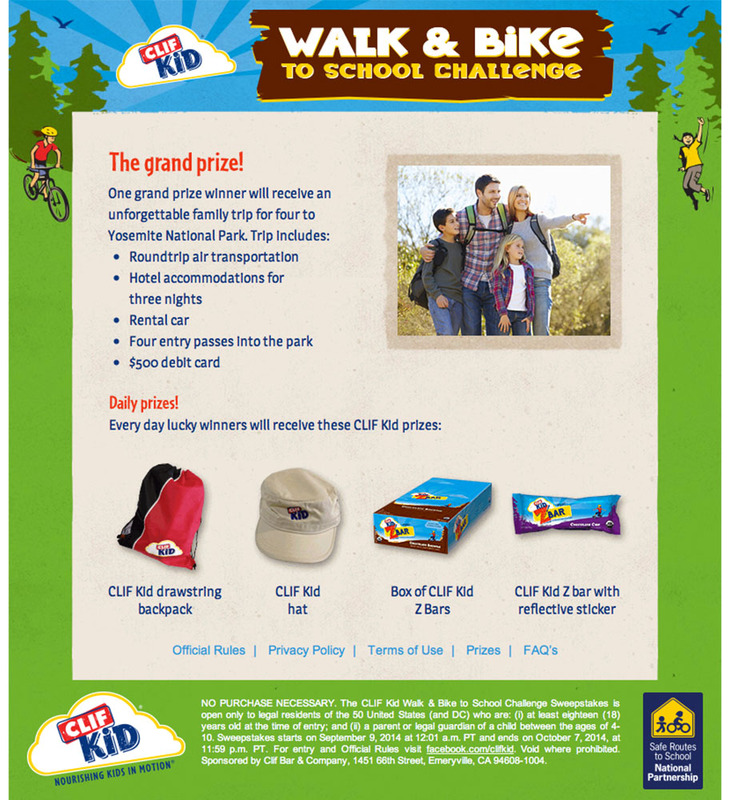 Entrants chose from prize packages ranging from the Bright Eyed Beginner to the Seasoned Scholar which contained a variety of items leading to school time fun. 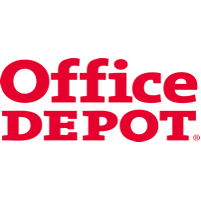 Sync Marketing’s legal team ensured that all of Again Interactive and Office Depot’s concerns regarding their sweepstakes were addressed. Sync advised and guided the client on the best legal practices and created all of the necessary legal documents for the client. Sync also awarded and shipped 40 prizes to winners. 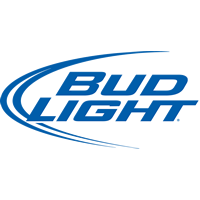 Bud Light® Marc Anthony Sweepstakes Sync Marketing teamed up with Cárdenas Marketing Network to help manage and program a bi-lingual campaign that also included an SMS means of entry. 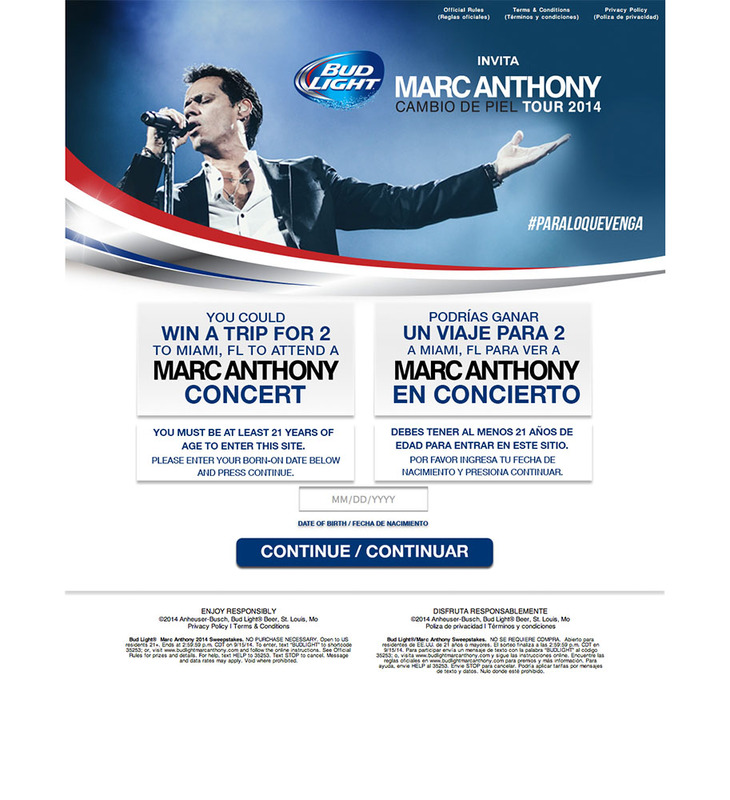 Entrants were asked to either text a code word to enter or enter online for the chance to win a trip for two to Miami to see Marc Anthony live in concert! Litehouse Dip.Eat.Play! 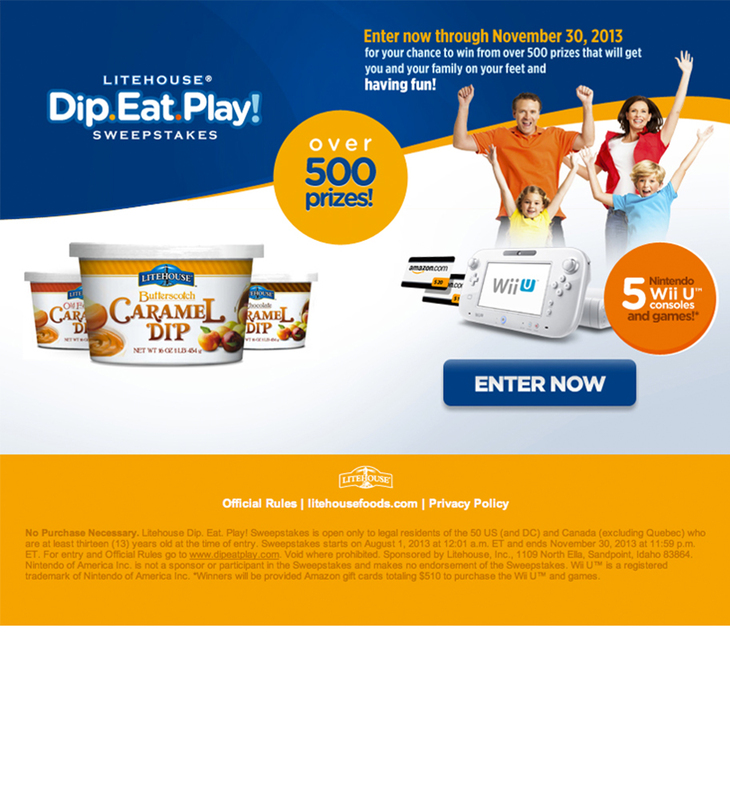 Sweepstakes To engage both new and current Litehouse consumers and to promote their Caramel Dip line of products, Sync Marketing ran a four month online sweepstakes, which invited consumers to enter for the chance to win from over 500 prizes. The sweepstakes lived on both a microsite and on Litehouse’s Facebook page and was promoted at participating retailers with POP materials created by Sync. 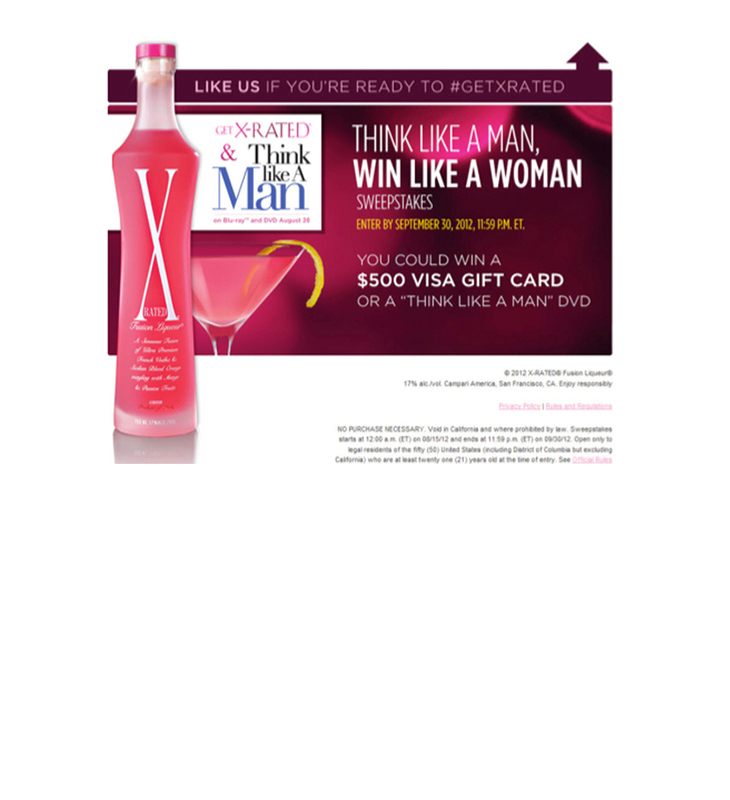 Think Like a Man, Win Like a Woman Sweepstakes To promote their new X-Rated Fusion Liqueur, Campari America partnered with Sony Pictures to offer their customers the chance to score copies of the Think like A Man DVD through a sweepstakes hosted on Facebook. Daily prizes of the DVD were awarded during the month-long campaign, and one lucky grand prize winner received a $500 Visa® gift card and a copy of the Think like A Man DVD. The Icing Wish Upon A Pin Pinterest Contest Icing looked to Sync Marketing to oversee all of the legal parameters for their inaugural holiday Pinterest contest. Consumers were asked to create a Pinterest board that best expressed their holiday style. Boards were judged on creativity, originality and product inclusion, and the winners were rewarded with a $250 Icing gift card. Claire’s Katy Perry Ultimate Fly-Away Sweepstakes Claire’s ran an online sweepstakes which offered one lucky customer the chance to fly away to Costa Rica to see Katy Perry in concert as well as meet this pop icon backstage and even receive a Claire's goody bag of merchandise hand picked by Katy. 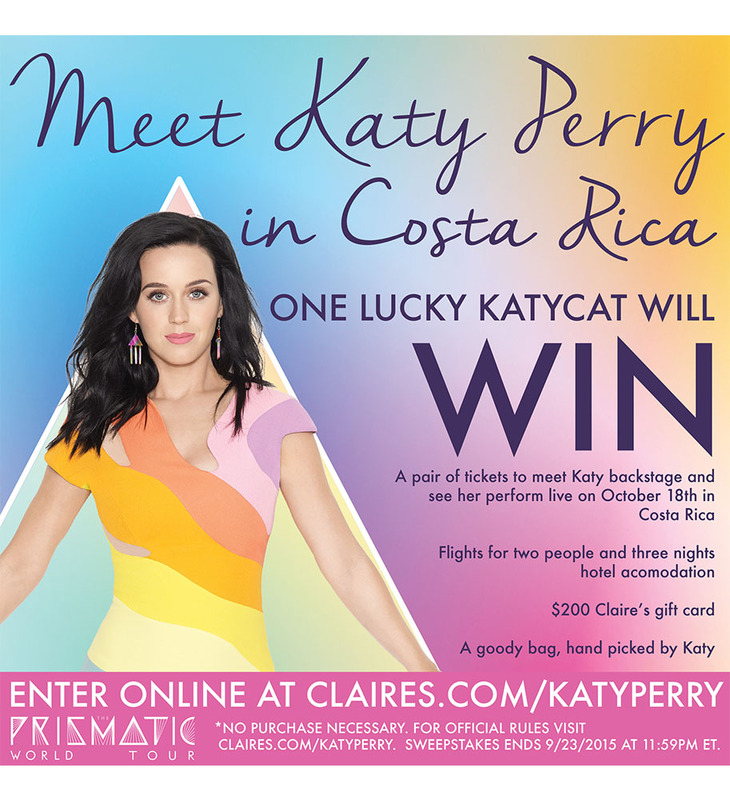 The client’s goal was to promote their Katy Perry PRISM Collection and reinforce Claire’s partnership with style and music icon, Katy Perry. They also wanted to grow their social and email database as well as increase awareness and sales for the Katy Perry Prism collection. 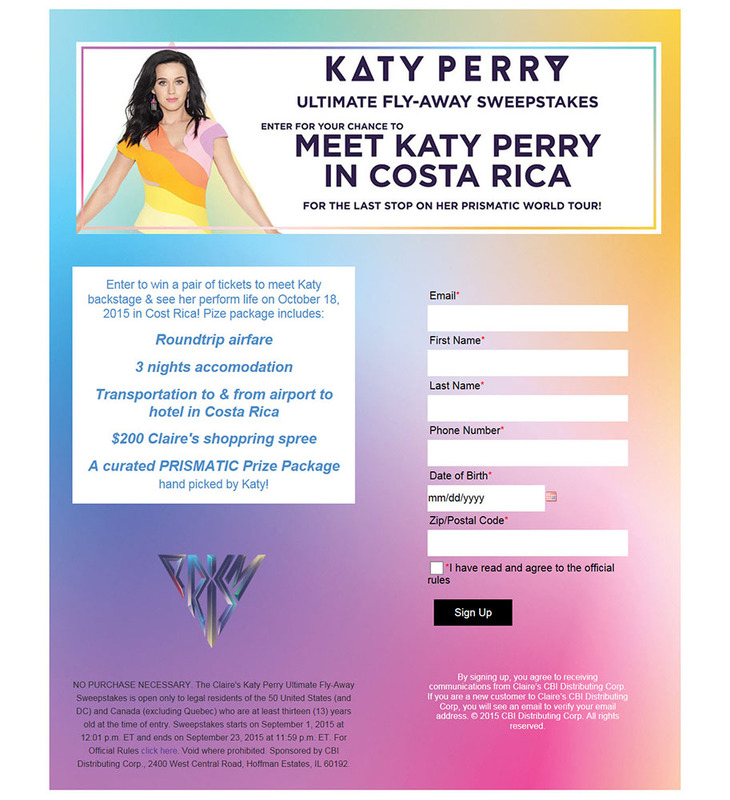 For this campaign, Sync created all of the legal documents and necessary release forms and coordinated all of the travel for the winner and their guest.